This 200 Series Deluxe Grand Auditorium blends tonal versatility with inspiring looks, thanks in part to layered Hawaiian koa back and sides and a full-gloss body. Cream binding and Small Diamond fretboard inlays supply elegant accents, while a solid Sitka spruce top helps project Taylor’s signature clarity and balance. A Venetian cutaway invites you up the fretboard, and Taylor’s proprietary Expression System electronics respond with clean amplified tone. The guitar ships in a Taylor standard hardshell case. The 214ce-K (2013) is not currently offered as a standard production model. There may be an authorized Taylor dealer with this instrument in stock. If you would like to inquire about the availability of this guitar, please contact your local Taylor dealer or call us at 1-800-943-6782 in North America. For customers outside North America, contact the international Taylor distributor in your country. See the 214ce-K (2013) model in Action. 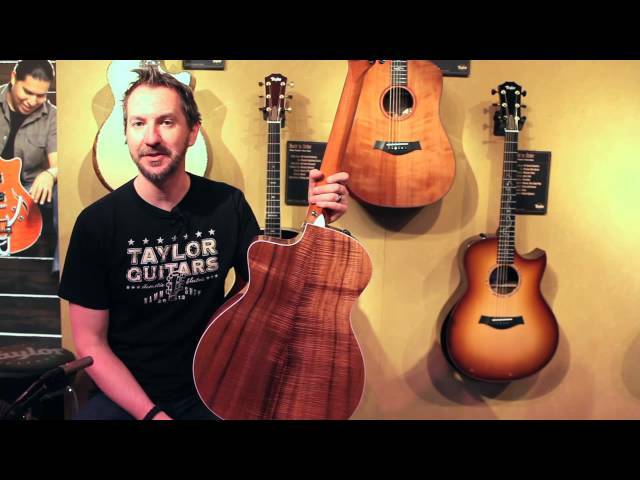 NAMM 2013 - "Koa Series"